Colonel James Jabara Airport is Wichita’s premier general aviation airport. 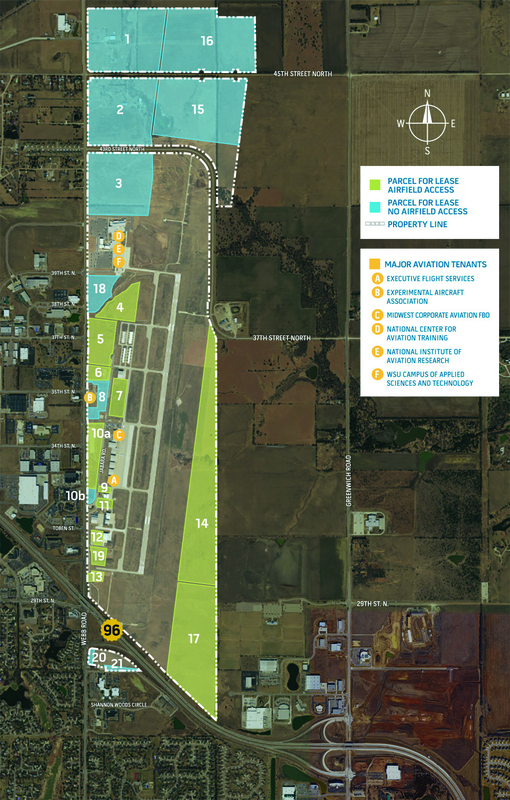 With over 365 acres of development space and more than six thousand feet of runway, Jabara has the capacity to substantially increase your business. It’s home to the National Center for Aviation Training, WSU Campus of Applied Sciences and Technology, the Embraer business jet service center and a full service FBO operator with a Cessna service center. The airport is in a fast-growing area that is home to healthcare providers, manufacturing companies, distributors and corporate headquarters, including Koch Industries, Lee Aerospace, and Mid-Continent Instruments. It’s also close to Textron Aviation and a FlightSafety International training facility. It’s more than a nice little stop-over. It could be the perfect place for your business to land and set-up shop. The City of Wichita has two airport locations — Eisenhower Airport and Colonel James Jabara Airport — with development opportunities at either that could be a perfect fit for your business. e city itself is a good place to be, and grow. Wichita, the Air Capital of the World, is home to 750,000 people and boasts one of the country’s most skilled aviation workforces. It’s also home to world-class research and development facilities and an innovative, educational talent pipeline that is unmatched in the United States. Your business could really take off here.